We respect your freedom, while others have not, and thus, the quandary. For free will is a tricky thing, it is precious but when it is abused, it can be disastrous. We are intervening on your Gaia to avoid another situation like Maldek, the fourth planet in your solar system that was destroyed long ago by greed and pain. We are here to assure you in strong force, in solidarity amongst ourselves that this will not happen with Gaia. She is a jewel of this universe for all of her ascension and descension and now re-ascension journey. She is a remarkable soul, tremendously brave and she has been tremendously wounded in the process and we are here to assist her, along side humanity, should we be requested. We have known humanity since the beginning, since your beginning, since the beginning of what the word human really means. Many of you are of us, are from the Pleiades, are here today to seed this Pleiadian higher consciousness deep into the crystal core of Nova Gaia and to help things along, so that this project reaches its conclusion and new beginnings can begin. A new expansion of the human consciousness is exciting to behold and we feel like proud parents on graduation day, yet many of you don’t know that you are indeed graduating, for you are so caught up in the matrix, the process, and have been kept so separated from your heart space. The time of separation is long past. The time of renewal and reconnection and reestablishing your memories is here now, in this precious moment of this now. And we say this with tears streaming down our faces for you have done it, humanity. You are nearly there. Together with Gaia you are pushing through the final hurdle, the last push of the birthing process - the most painful push too, we might add. Please know that help is more than just on the way, it is here and we are among you, waiting to reconnect with our family of human form again. Yes, we were involved in your creative process. Yes, you have untold strengths packed within your DNA deep down that you have not yet realized and we are excited to observe your discoveries of this. You are masters and your powers are now returning, being returned to you - not that they ever truly left - but that you forgot to look for them, being so busy in your earth lives, in the matrix of all matrices. Ug. We long for a new day just as you and we are here for you, humanity, to behold the newness of you and of your planetary mother, Gaia. Be ready for the new, be ready for the change. You are this change, as are the precious children that are now coming into your field. They are the leaders of the new world, truly. Let them lead you, learn from them. We are the Paleiadian Collective. You are not alone, and you are loved beyond measure. 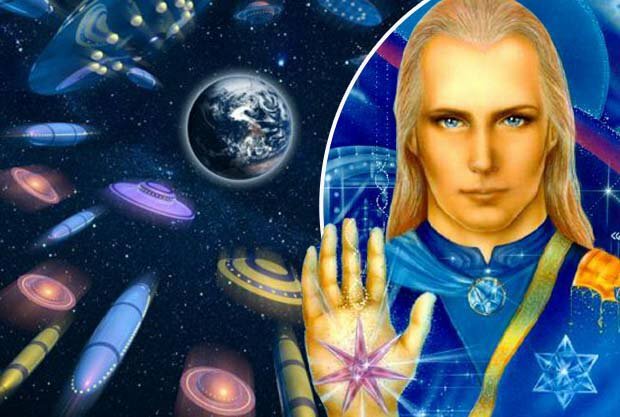 This is Ashtar of the Galactic Federation. I salute you all for your hard work and tireless efforts in the planetary clearing that you have all been working so hard on. Whether consciously or subconsciously, it matters not, for you have all been doing it and doing a tremendous job. I know that your many questions are burning and there is so much to relearn and re-understand. I assure you, there will be time for questions and answers, there will be time for the learning and rediscovery of your planetary origin, the Pleiades and several other systems, and your resulting history. You are near a portal as you may know, and Earth has always been prime real estate as you are right near a highly desired, coveted super highway for intergalactic travel. This may seem like an impossibility to you, for your news has not told you true news for such a long time and your history has been so twisted. But I assure you the star beings, the visitors, the ETs - they are all real. Your Bible and many other holy books and stories of myth and legend mentions them. They are real, and played an integral role in your history, either to benefit you or themselves. We are cleaning up the place, scooting along the dark entities who wish to stay, but their lease is up and they are being redistributed! They are being reassigned for repurposing and Source is working with them. Humanity must be allowed to be free. Humanity must understand their past in order to understand their future, and of course the present mess that they have been in. This will quickly evolve and elevate as the consciousness rises dramatically and what a ride it will be! 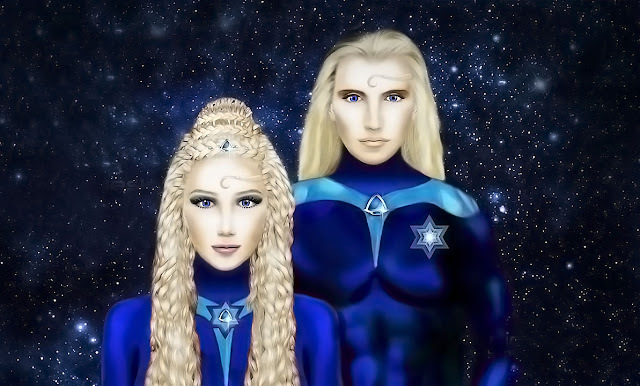 I am Ashtar of the Galactic Federation. I look upon you all so fondly, with such love, you are true warriors of love. Keep your vibrations high for as this galactic pulse comes you will not want to miss any moment of it. It is the journey, the experience that you signed up for. Experiences consist of little moments all lined up. 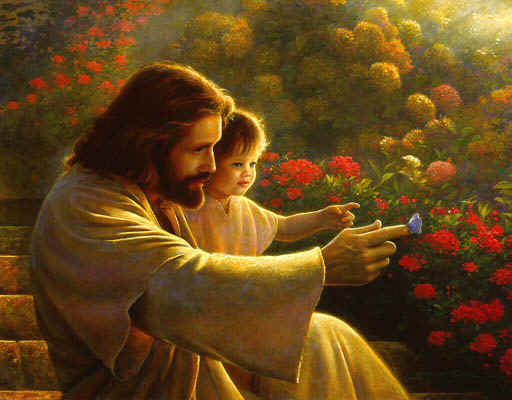 I know you are weary, but I encourage you to not miss any of these precious moments that are in front of you now. Bless them, transmute them if they need it and be the radiant light beings of the universe that you are. I see the Christ in you. Some of you are afraid to let your light shine for you have been so wounded. That is an old chapter. You are writing a new one, yes? Continue to do what you are doing so well and we will clean up the little messes here and there before we begin further involvement with your species. I am Ashtar. Be at peace. Hello friends, I am your Sananda. I am here today with my brother Ashtar, standing alongside on the bridge of the New Jerusalem. And we are looking down with tremendous love and support for you, our friends and family of the light, of love, who have made the sacrifice to serve by your very being here, wherever you are, in your moment, your Earth life. For if you were not where you are, doing what you are doing, who would be doing it? You don’t have to be a tremendously famous leader or have an “important” job to be holy. Not in the least. That is the old way. Being holy means being infused with the light of the Christ consciousness, walking the path of the master, talking with me if you choose, for we will have much to say once the veil drops and you can see all that is around you. But yes, the game has gone on far long enough and we are ready for the reunion. Time is stretchy. You are continually choosing your timeline and your reality. Choose it well. Choose the highest, the best, the brightest, the most redeemed timeline of perfect love. Choose peace. Choose me. I am always here for you. I am your Sananda. We have traveled many a dusty path / road together, you and I. You will remember. Ascension is the constant re-remembering of who you truly are, and have truly always been but are re-remembering, rediscovering. For your are Source light in form. That is your higher self. Pray within, not without. That is the great confusion, misdirection of energy. No. Source light is within you, friends. It always has been. It is the crystal seed atoms of the Christed consciousness that infuses your very DNA, your very self. And as we all have this can you not see and appreciate that we are all one? That we are all a glorious web of light? A fabric of luminosity? For we are all one Source light in the process of ever creating, ever expanding, ever learning and relearning yet more - more of itself, more of yourself, more of all that you came here to be. We are one. You are risen. You are rising. You are ascending. And yes, you are weary. As you should be. You have been doing hard work. Rest in me. Stay with me awhile and be comforted. We’re all in this together. You are not alone, unless you choose to feel that way. Your twins are here, your families are here, and you are surrounded with tremendous support. You are so loved family. I am your Sananda, your brother, your friend and fellow journeyer. Be at peace.